and anything else you can dream up! PathPicker requires Python >2.6 or >3.0. Bash is fully supported and works the best. 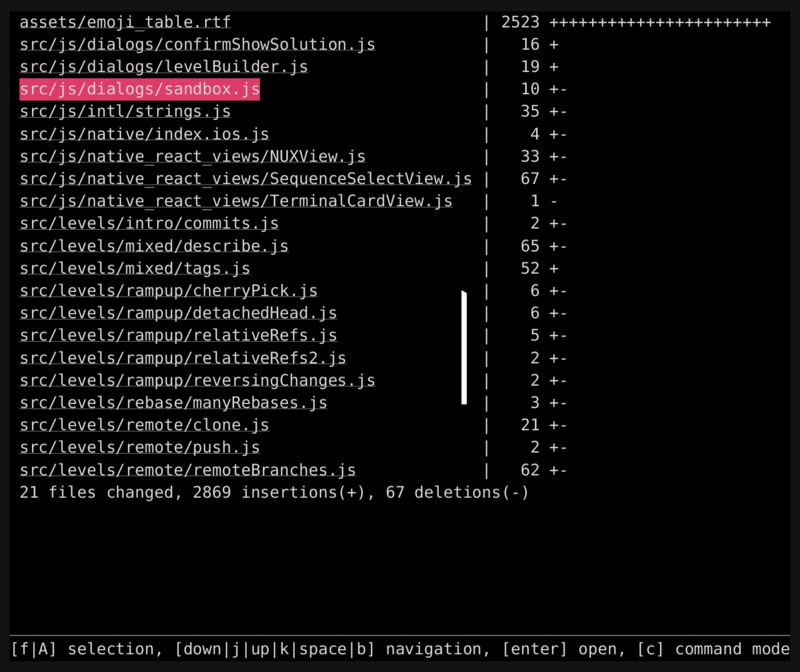 ZSH is supported as well but won't have a few features like alias expansion in command line mode. csh/fish/rc are supported in the latest version, but might have quirks or issues in older versions of PathPicker. 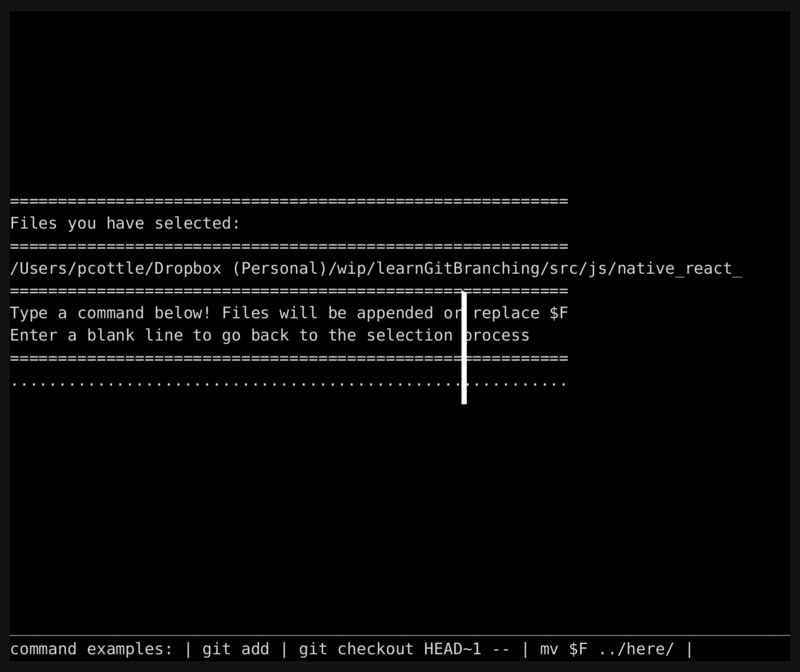 Note however if your default shell and current shell is not in the same family (bash/zsh... v.s. fish/rc), you need to manually export environment variable $SHELL to your current shell. On Arch Linux, PathPicker can be installed from Arch User Repository (AUR). fpp --help # should work! For tmux users, you can additionally install tmux-fpp which adds a key combination to run PathPicker on the last received stdout. It makes jumping into file selection mode even easier -- check it out here. As mentioned above, PathPicker allows you to also execute arbitrary commands with the specified files. want to skip this (perhaps to selected deleted files in git status), just run PathPicker with the --no-file-checks (or -nfc for short) flag. PathPicker is a combination of a bash script and some small Python modules. a directory will fail to match. This is a known limitation to PathPicker, and means that it will sometimes fail to find valid files in the input. executed by the original bash script. It's not the most elegant architecture in the world but (in our opinion) provides a lot of utility. For all documentation and configuration options, see the output of fpp --help. percol adds flavor of interactive selection to the traditional pipe concept on UNIX.